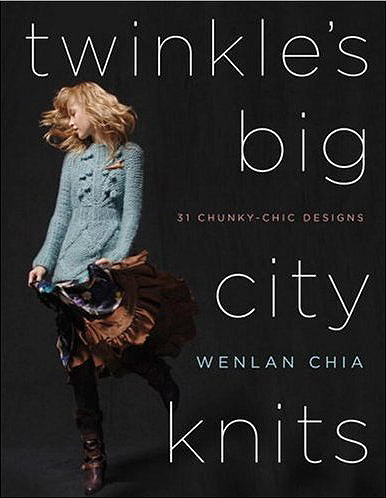 Wenlan Chia launched Twinkle in the fall of 2000 with a collection of colorful and exuberant hand-knit sweaters and accessories. Making its runway debut in 2002, Twinkle received high praise from both the New York Times and Women’s Wear Daily. Since then, Wenlan has shown on the runway each season at Seventh on Sixth fashion week in Bryant Park. Wenlan has received well-deserved recognition from the fashion industry, winning major awards and nominations, including the Onward Kashiyama New Design Prize in Tokyo, the Competition of Young Fashion Designers in Paris, and the Vogue Fashion Fund Award in New York, among others. Most recently, she was selected as one of “Spring’s Leading Ladies”— a group of five notable designers— by Vogue magazine.